Home » Sadani » A Milestone in the History of Metric Systems; A Kilogram is not a Kilogram as we know it anymore! 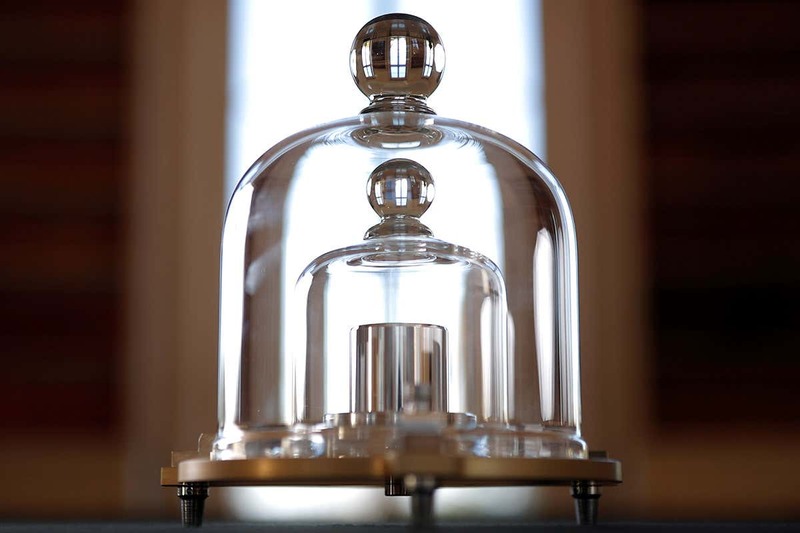 On Friday, 16th of November 2018, scientists representing 60 countries, at the General Conference on Weights and Measures (CGPM) held in Versailles, France voted to change the way a kilogram is defined. Even though the difference between this day and the day before weighs theoretically nothing and while something that weighs a kilogram – the basic unit of mass – is just as heavy as before, The U.S. National Institute of Standards and Technology called this a “Turning point for humanity”. For 130 years, the kilogram has been defined as the exact weight of a cylinder of Platinum-Iridium, held in a triple-locked vault in headquarters of International Bureau of Weights and Measures (BIPM) in Paris. Metrologists refer to this metal lump as the “International Prototype Kilogram”, or IPK. Others call it “Le Grand K.” It was the one true kilogram in the world, upon which all measures of mass on Earth depended. For many years it remained the reference point for measurements of mass around the world. But change was afoot. There were also copies of IPK in various locations around the world, which were used as national standards and were occasionally sent back to France to be compared against the prototype. It was discovered, to the dismay of metrologists, that the IPK was 50 micrograms lighter than the replicas of it that had been distributed around the world. Since “Le Grand K,” by definition, is a kilogram, any change to its mass necessarily alters the definition. Either “Le Grand K” had lost weight, or the replicas had been piling on the (micro)pounds. Most people don’t think about metrology as we go about our day. But it’s vastly important. It’s not just the system by which we measure the world; it’s also the system by which scientists conduct their observations. It needs to be precise and it needs to be constant, preferably based on the laws of our Universe as we know it. But of the 7 base units of the International System of Units (SI), 4 are not currently based on the constants of physics; the ampere (current), kelvin (temperature), mole (amount of substance) and kilogram (mass). Among those, kilogram was the only base unit in the SI defined by a physical object. The new definition of a kilogram is based on 3 fundamental constants: the speed of light; the cesium atom’s natural microwave radiation; and the Planck constant. The current kilogram mass exerts a specific amount of force in Earth’s gravity — in other words, it weighs something. The revised definition replaces this familiar determination of mechanical force with an electromagnetic measurement tied to the Planck constant and based on electrical current and voltage. Using an instrument called a Kibble balance, after its inventor Bryan Kibble, an electric current is generated in a coil to produce a magnetic field strong enough to offset a mass of one kilogram. Under the new definition, the magnitude of a kilogram would be set by fixing the numerical value of the planks constant (6.626069… × 1023) when it’s expressed in the SI unit “smkg”, which is equal to “Js”. This won’t make any perceivable difference to most people’s lives at all – a kilogram of flour before the change is still going to be a kilogram of flour after the change – but it will make a difference to metrologists, and scientists in general. Because base unit standards can rely on other base units. The candela, the ampere and the mole will be redefined to greater accuracy based on the kilogram. It will open the way to unlimited improvements in accuracy of measurements and extend the possibilities of making accurate measurements at very small and very large quantities. As for the IPK itself, the small piece of metal that has been so important for so many years will continue to be kept in same conditions it always had. This is to partly to honor its legacy; but also, to be studied in future against the new, immutable definition of kilogram. This will be the end of an era and the beginning of a new one.